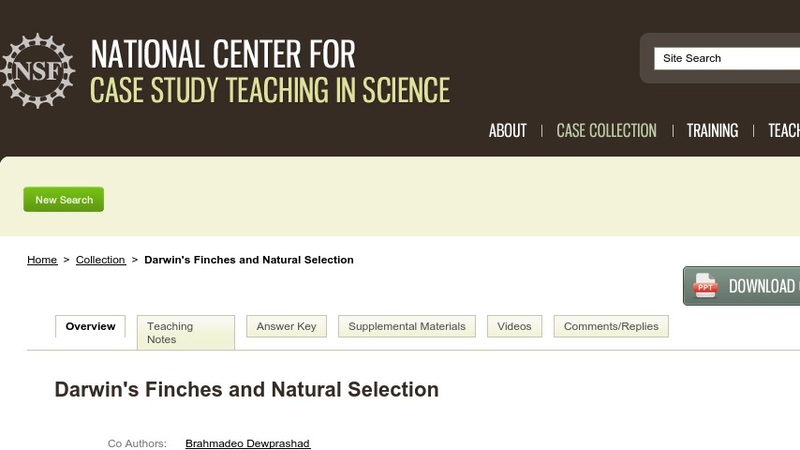 In this "clicker case," students learn about natural selection through the research of Peter and Rosemary Grant and colleagues on the finches of the Galapagos Islands. Students are presented with data in the form of graphs and asked to determine what is happening to a population of finches as the changing environment produces changes in the shape of the finches' beaks. This case is suitable for any size course in introductory biology, ecology, or evolution, and does not require any pre-requisite knowledge of evolution or natural selection. The case consists of a PowerPoint presentation (~4.5MB) punctuated by questions that students answer in class using "clickers." It can be adapted for use without these technologies.